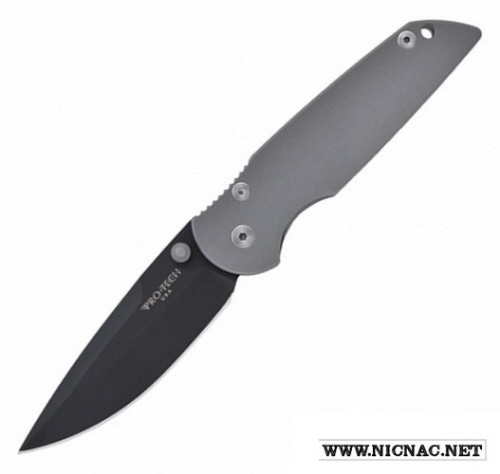 Protech TR3 Integrity 7703 Manual Folder Knife with a Gray handle and a black blade. Protech's TR-3 (tactical response) knives overall length are 8" with a blade length of 3.5" and blade thickness of .125". The closed length on the Protech TR-3 knife is 4.5" and it weighs in at 3.6 oz. Tip down carry. Made in the USA!